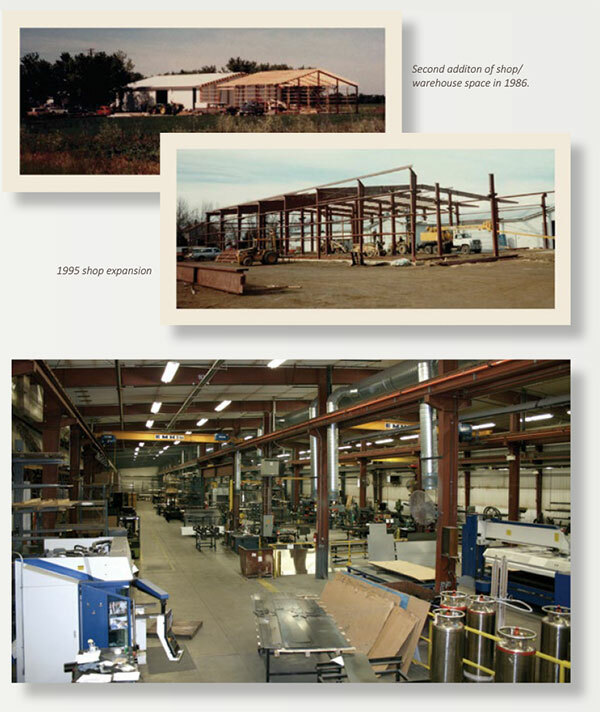 Founded in 1971, MEI was born of the dreams and aspirations of John Romnes. What started as a one-man operation in a rented farmhouse has now grown to a multi-million dollar company with more than 200 employees. Before starting MEI, John had nine-and-a-half years of industry experience. He was the only full-time employee of MEI for the first seven months. In the early ‘70s, with two full-time employees, including John himself and a part-time employee, John began to expand his business splitting MEI time between service, repair, modernizing and installing elevators. MEI built and installed its first freight elevator in 1973 and its first passenger elevator in 1975 in Mankato; both were new elevators, built from scratch. From 1971 – 1981, MEI’s service base grew to 110 service contracts, consisting of approximately 330 elevators serviced by two technicians. “During the first decade of MEI, I feel we were blessed in many ways and experienced God’s favor, which helped lay the groundwork for our future success,” John said. MEI experienced rapid growth in the ‘80s, adding more employees, building more elevators, acquiring more service contracts and constructing its first factory building. From 10 employees in 1981 the company grew to employing 59 workers by 1990. In 1989, as a result of the company’s growth, John purchased Vertitron and renamed it to Vertitron Midwest. From 1982 – 1991, MEI’s service base continued to grow to 409 contracts, more than 1,200 elevators and 8 service technicians. In the ‘90s, MEI’s service department sold nearly 500 new service contracts. A major effort was made to start diversifying the company’s customer base for National Sales and carve out MEI’s niche for custom work. MEI grew from 59 employees in the early ‘90s to 178 in 2001. In 2001, MEI’s service base had grown to 765 contracts, 2,300 elevators and approximately 14 service technicians. After experiencing hard times from 2004 – 2006, John turned to Rick Lowenberg, a lead turnaround consultant. MEI was armed with a new business plan and in 2007; MEI won the Turnaround of the Year Award from the Upper Midwest chapter of the Turnaround Management Association and Rick was named President of MEI. In February 2008, Twin Cities Business magazine featured MEI in an article “Going Back Up,” which underscored that MEI did all the right things to achieve a turnaround. Later in 2008, MEI purchased Highland Electric which offers electrical contracting for residential and commercial properties. The Highland Electric office and warehouse is now the central location for MEI’s field operations in the Twin Cities. The following year, MEI purchased Badger Elevator in Milwaukee which expanded its elevator contracting business to Milwaukee and throughout eastern Wisconsin. In November 2010, MEI purchased Dynatron Elevator in Kansas City, Kansas. Even in a down economy, MEI’s prospects were still rising thanks to the dedication of the ownership, leadership and employees toward continuous improvement. In 2011, MEI purchased Lagerquist in Duluth, Minnesota and in 2012 purchased the backlog of CEMCO elevator from Otis. In 2013, MEI expanded its office locations and opened a plant in Pennsylvania to better serve the USA’s northeast region. In February 2015, MEI purchased Precision Elevator Service in Denver, CO which expands our elevator contracting business. In July 2016, MEI purchased Michigan Elevator located in a suburb of Detroit. In August 2016, MEI acquired the assets and product rights to Wagner Scavenger Pump that was originally based out of Mount Vernon, IA. In January 2017, MEI purchased Express Elevator Company based out of St Joseph, Missouri. In November 2017, MEI opened up an additional office in St Louis, MO for elevator contracting. In April 2018, MEI acquired Eagle Elevator Corp of Kansas City, MO. In 2015, MEI headquarters in Mankato, MN added 20,000 sq ft to their manufacturing facility and again in 2018 added an additional 11,000 sq ft.